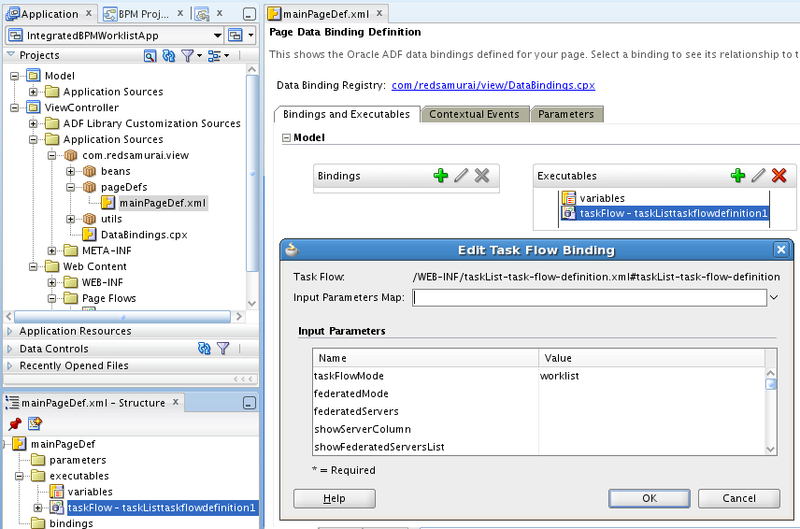 I had a question about use case related to ADF architecture for different databases access. 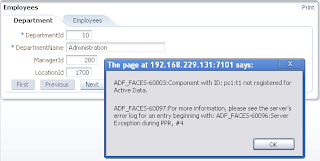 ADF system was running on multiple databases (Oracle, Microsoft SQL Server, IBM DB2) at once. 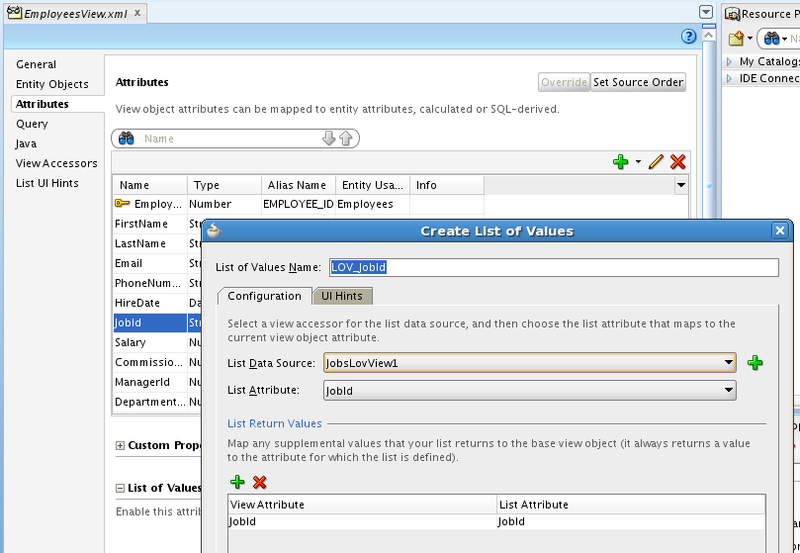 Part of the data was coming from Oracle DB, LOV's data from Microsoft SQL Server, the rest from IBM DB2. 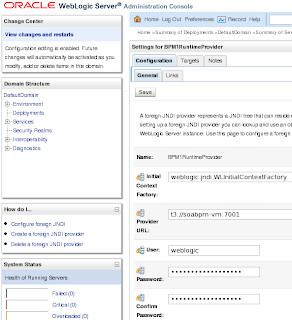 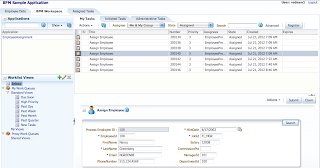 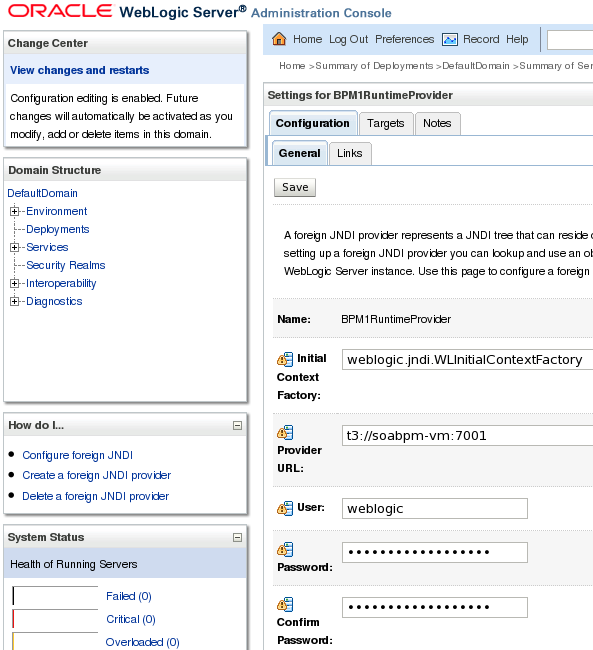 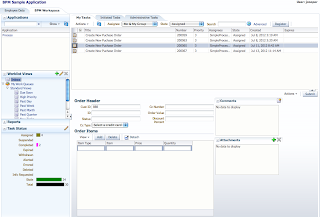 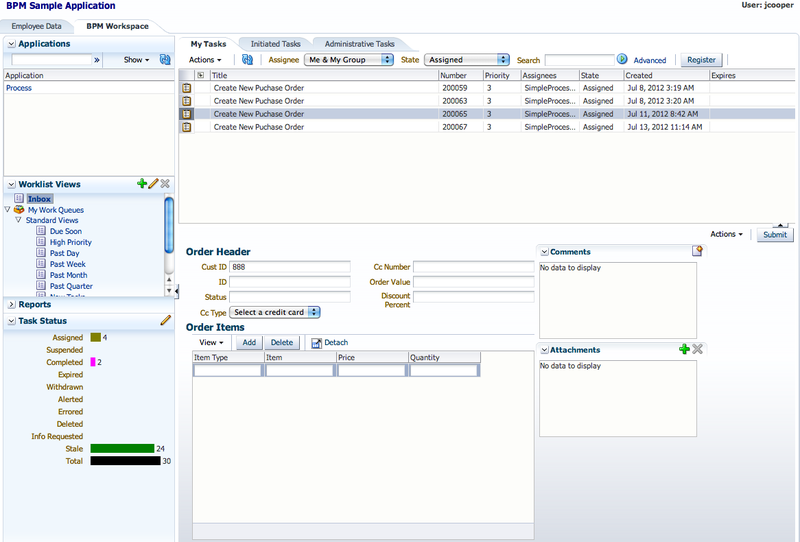 ADF BC 11g connects to all three databases and can work without issues. 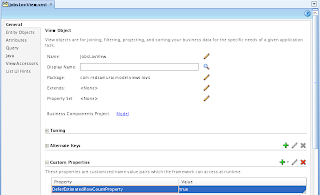 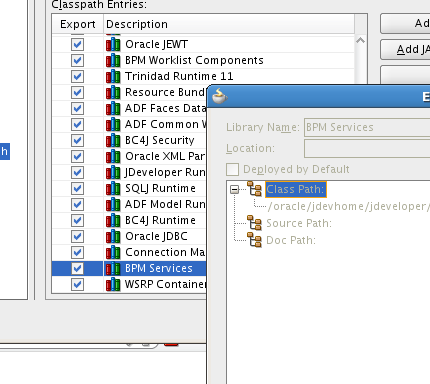 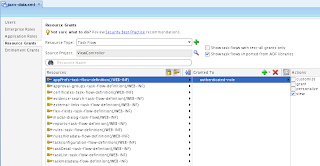 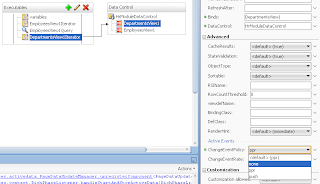 However, from architecture point of view - ADF BC Model project is configured with database type, means ADF BC Model can connect to only one DB type. 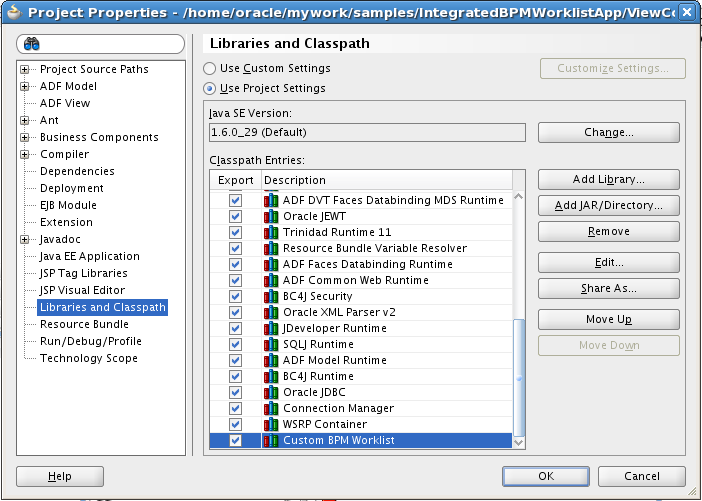 If we want to connect to other DB type, need to have separate ADF BC Model project. No problem with that - only one question. 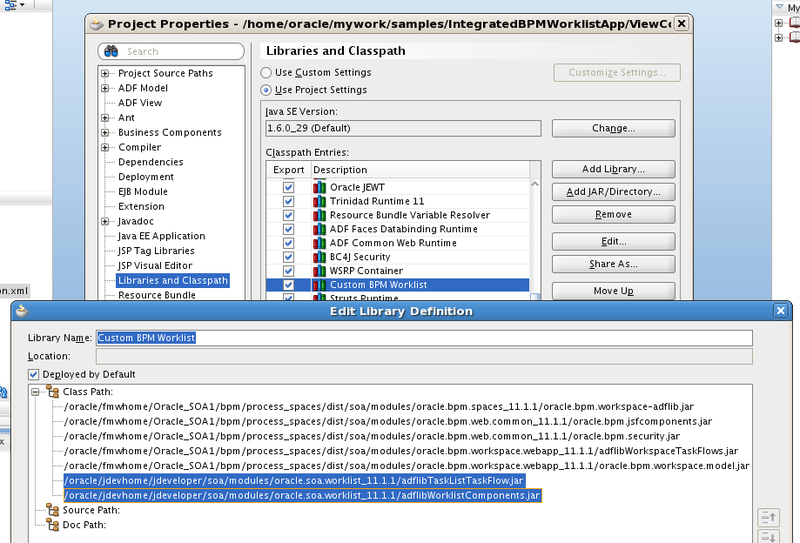 How we can integrate all these projects with different DB types together. 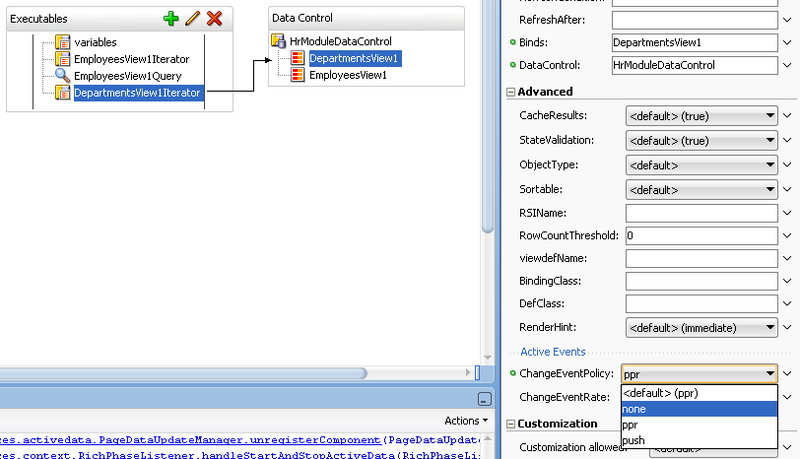 One of the possible solutions for this scenario I will describe in today post - ADF BC Service-Enabled Entity Objects. 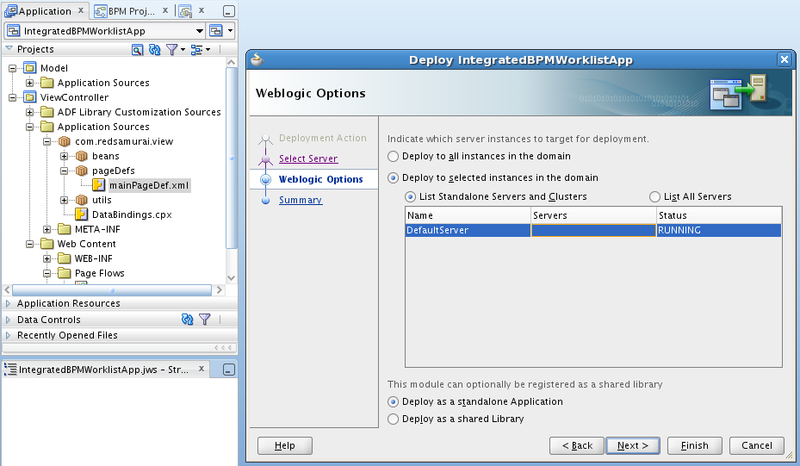 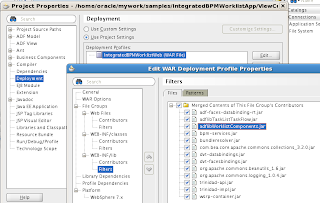 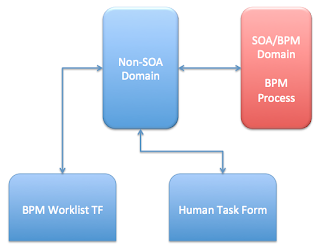 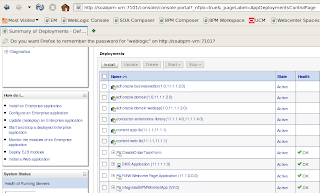 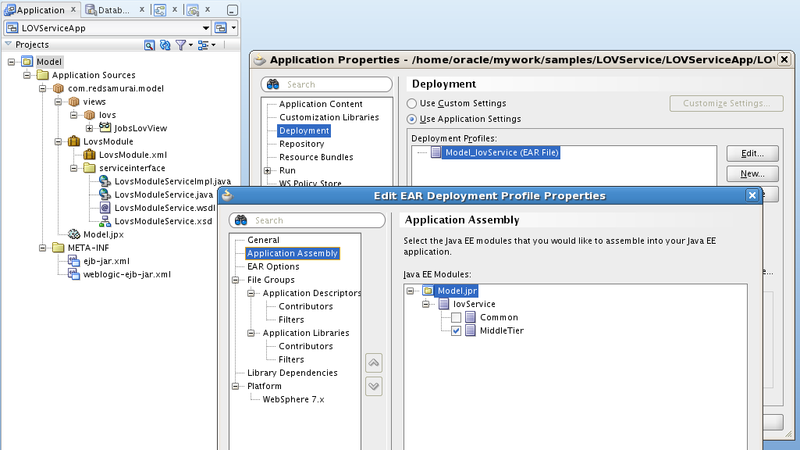 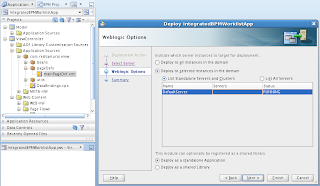 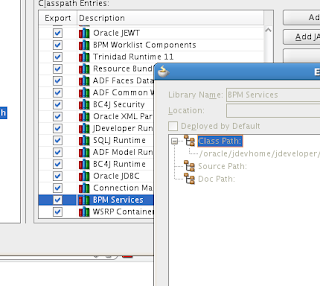 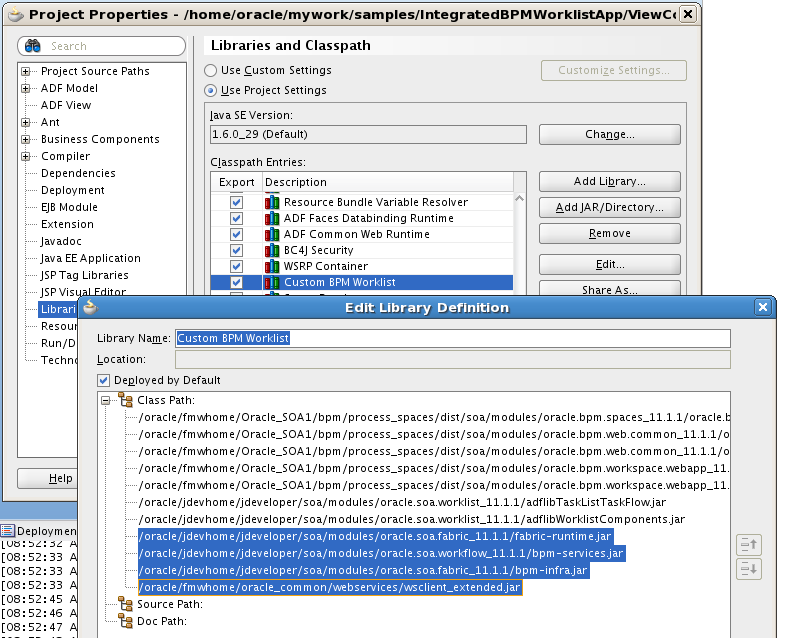 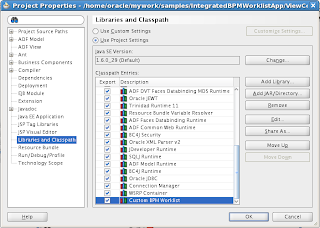 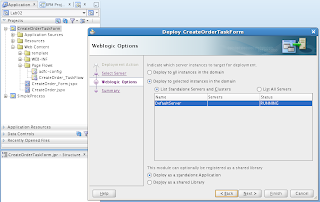 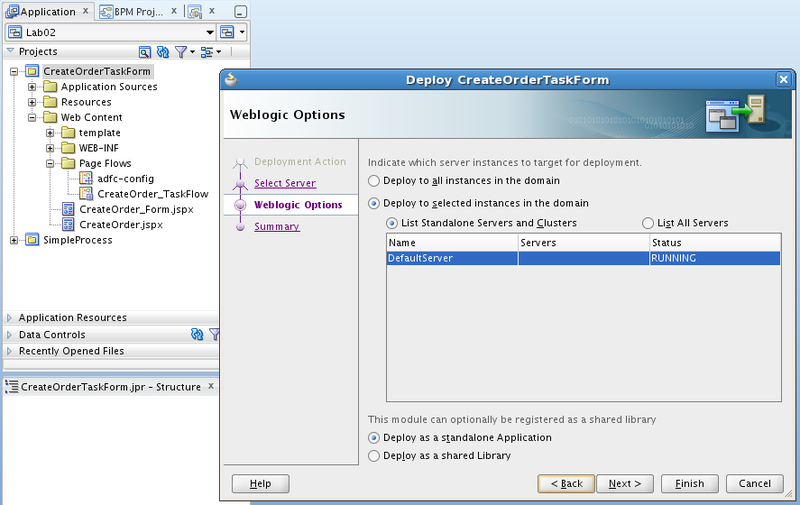 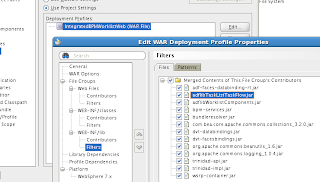 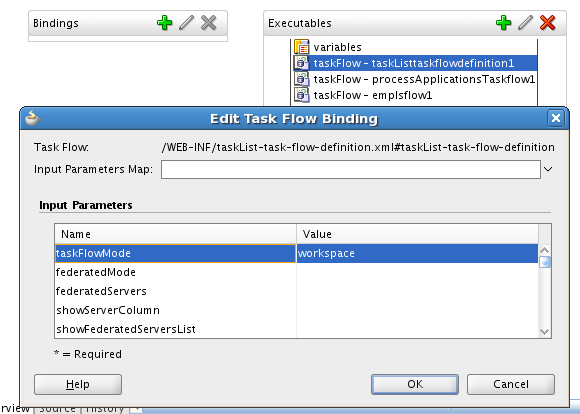 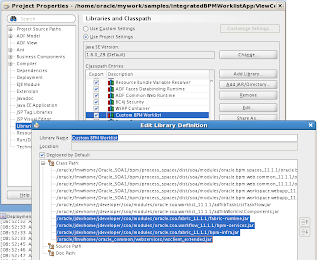 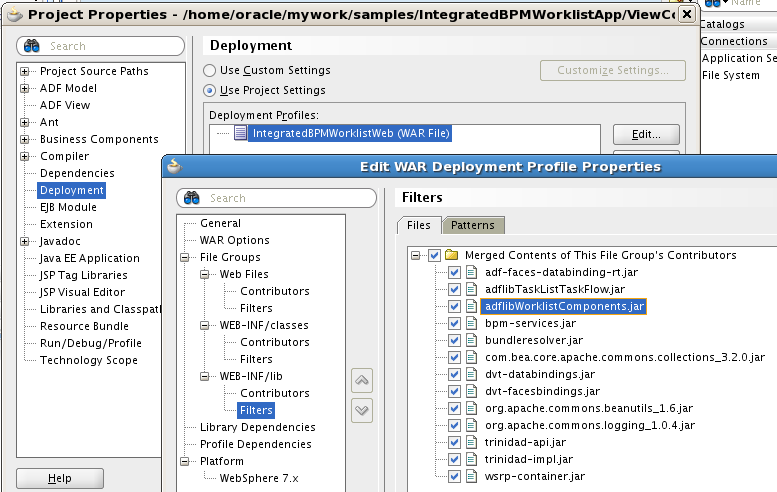 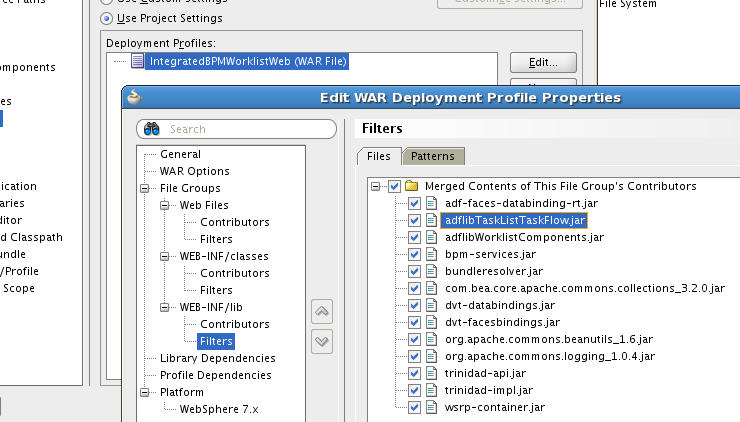 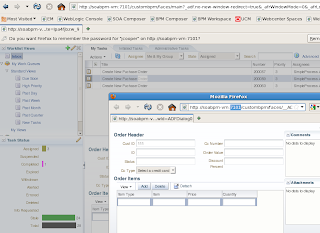 I have blogged about it back in 2009, always nice to revisit same topic after couple of years - Web Service Interface for ADF BC Application Module in Oracle Fusion 11g and Service-Enabled Entity Objects in Oracle Fusion 11g. 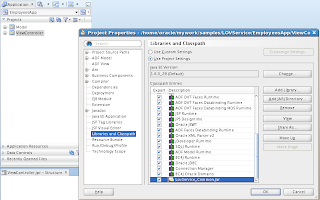 Download sample application, it incudes both - LOV service and consuming application - LOVService.zip. 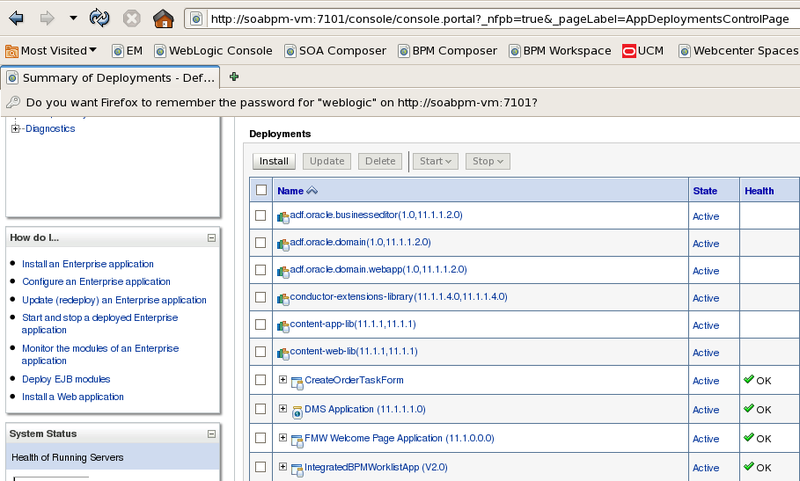 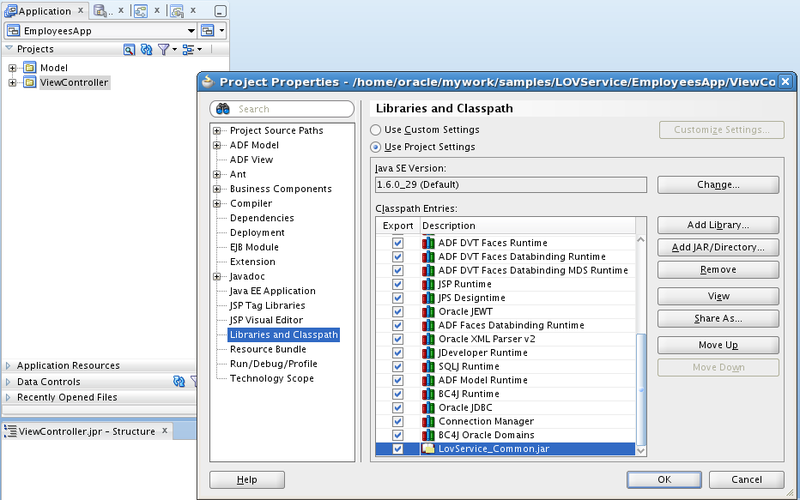 The idea is pretty simple - LOV service and consuming application both are implemented with ADF BC. 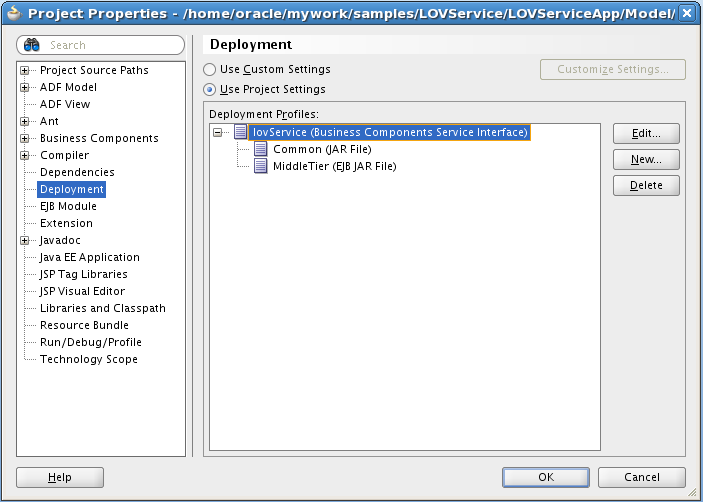 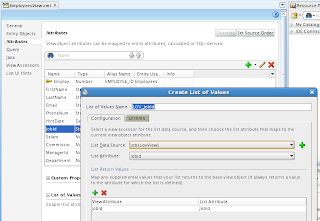 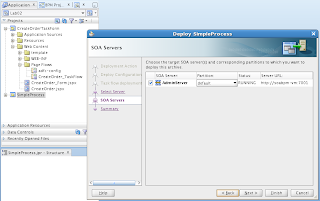 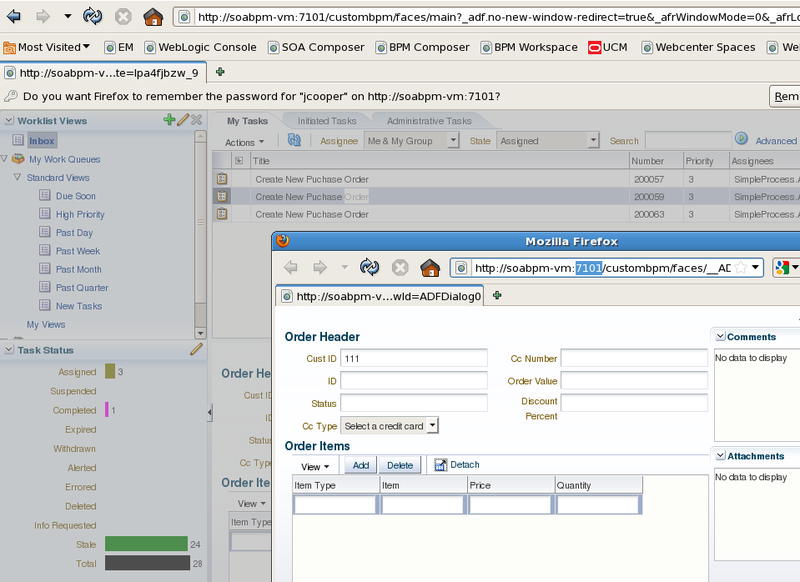 You can imagine that LOV service works with Microsoft SQL Server and consuming application connects to Oracle DB (in this sample, both connect to Oracle DB). 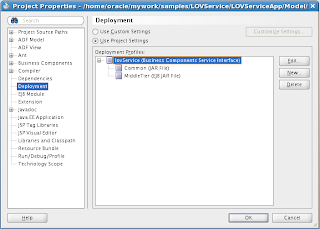 LOV Service is exposing View Object through Web Service. 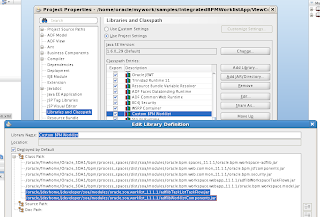 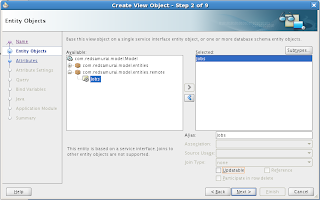 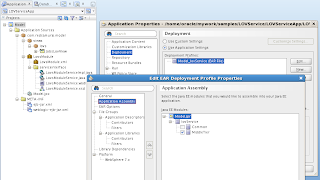 Exposed View Object is accessed in consuming application through Service-Enabled Entity. 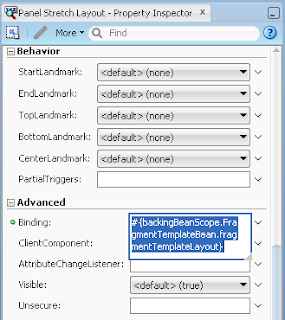 I had a blog about how to refresh ADF template content from fragment - ADF Page Template Refresh From ADF Page Fragment. 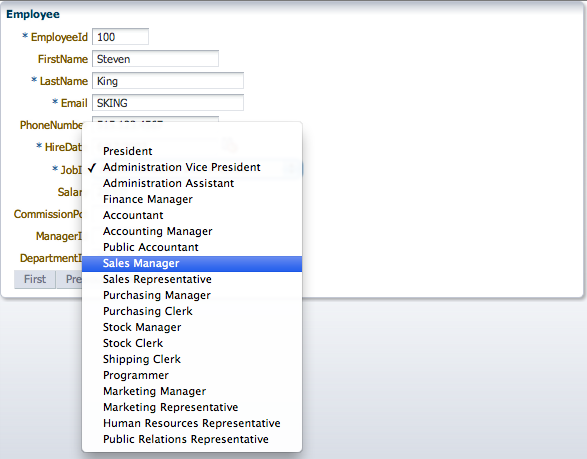 There I was describing you can apply Partial Trigger to the template. 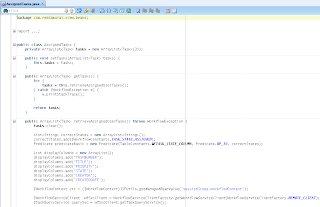 There is another scenario for template refresh. 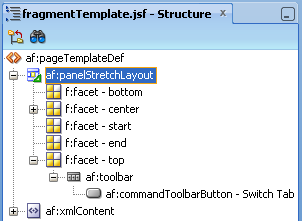 Let's say we have two templates - page and fragment templates. 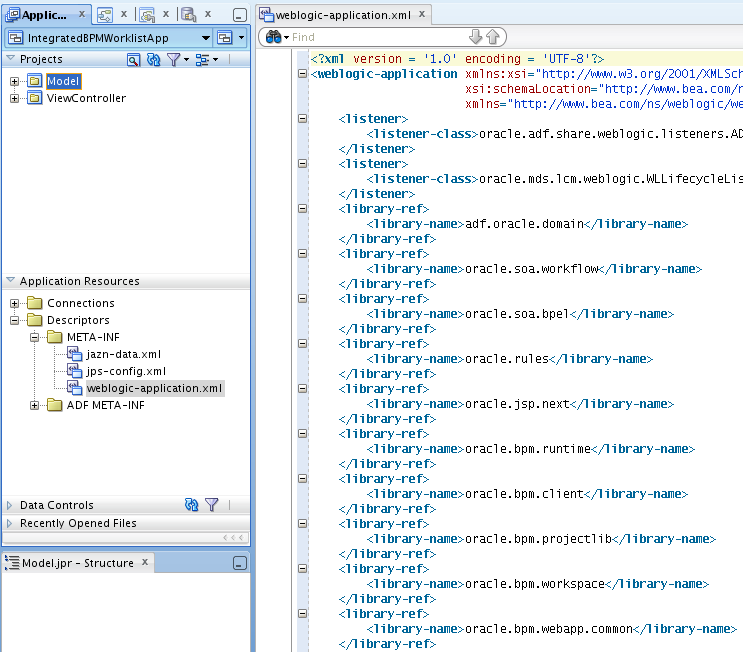 Those two templates are completely unrelated on design time and only on runtime are rendered as one. 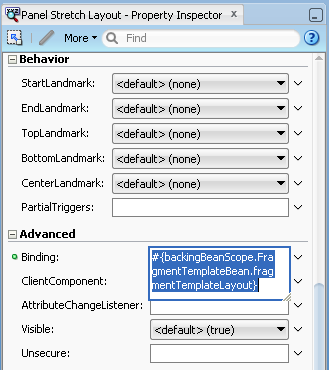 When building custom UI Shell, you may require to refresh components available in page template from fragment template. 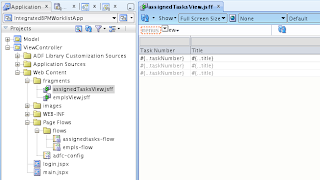 How to do this - if two templates are just separate files and there are no references. 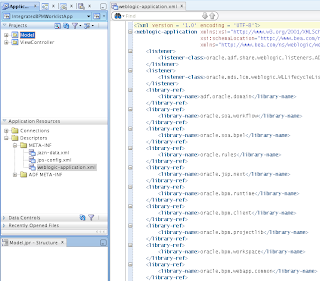 Well - keep in mind on runtime all templates are just one JSF tree. 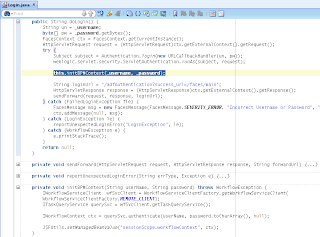 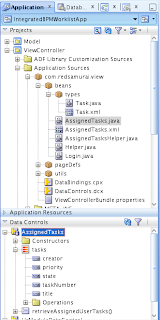 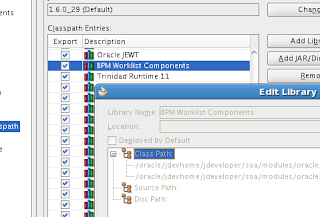 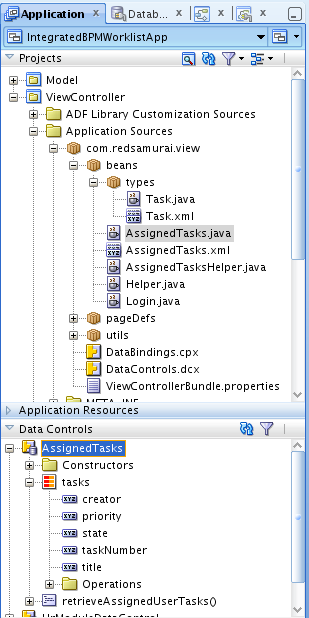 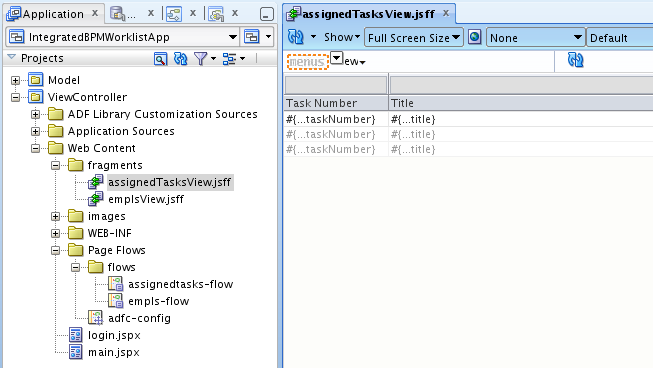 This means we can reach Page template from nested Fragment template through JSF tree. I will describe how. Download sample application - TemplateRefreshApp_v2.zip. 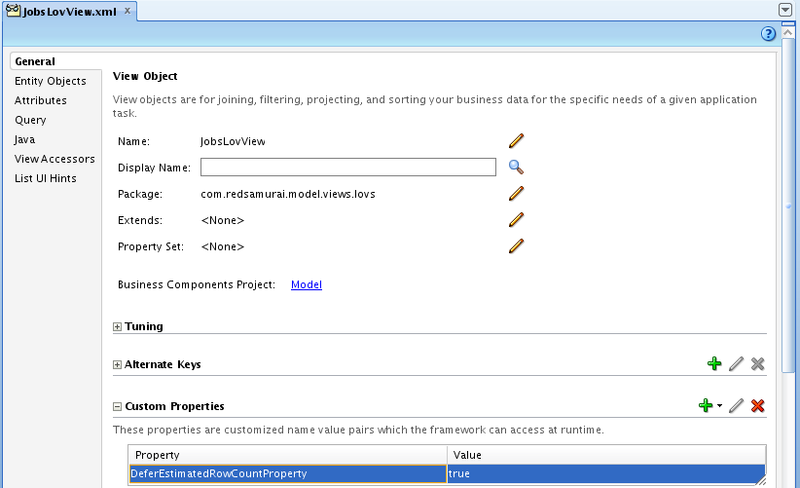 This application is simple use case for potentially more complex implementations. Page template contains two tabs, fragment template contains Switch button. 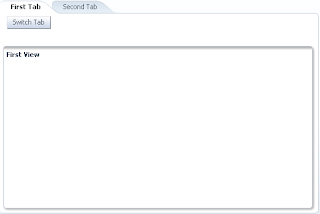 This button allows to manage tabs from page template and switch between tabs. 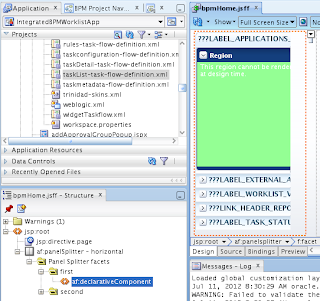 Fragment template is able to refresh page template by acquiring instance of page template UI components through JSF tree. You may experience strange issue in ADF 11g R2 (11.1.2.2.0, 11.1.2.1.0), related to printable page behavior. 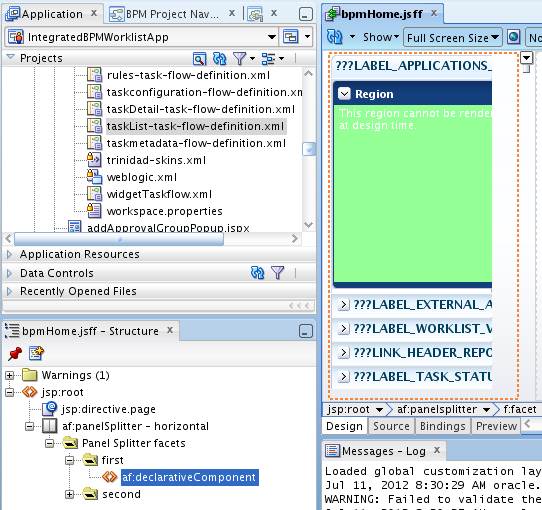 After af:showPrintablePageBehavior operation is applied, ADF fails to register Active Data for command component on runtime. 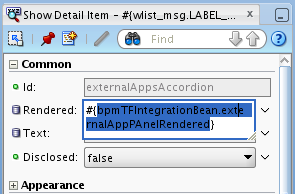 It doesn't seem to break application completely, but obviously is annoying for the users. 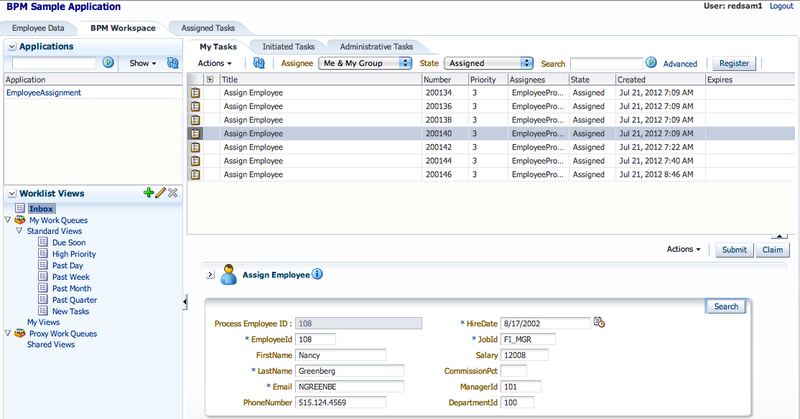 Same issue related to Active Data registration is reproduced after applying export to Excel operation. 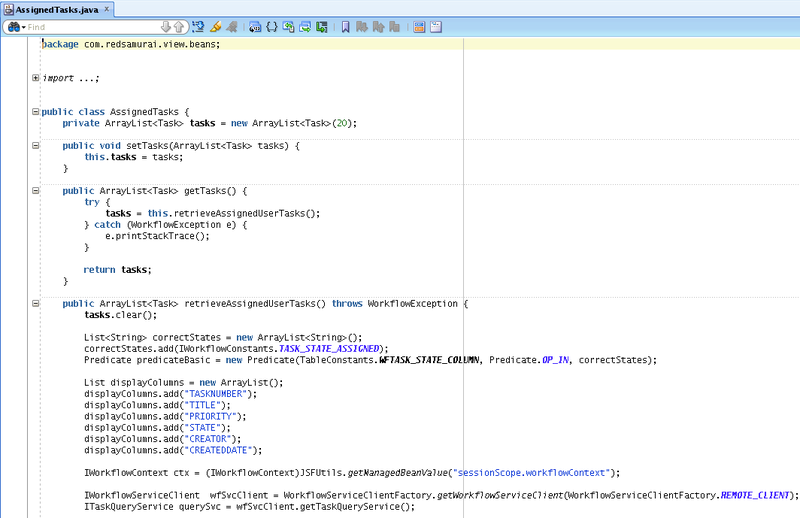 This seems to be a bug and most likely will be fixed in the next ADF versions. 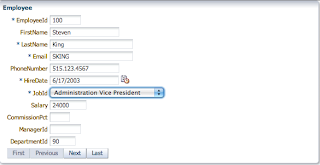 There are workarounds how to overcome Active Data registration bug, I will describe them at the end of this post. 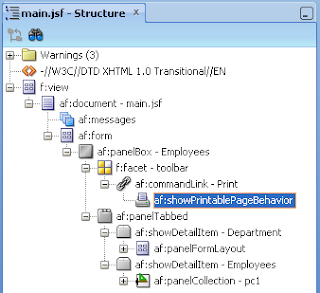 Download sample application, where printable page behavior error is reproduced - PrintPageBehaviorApp.zip. 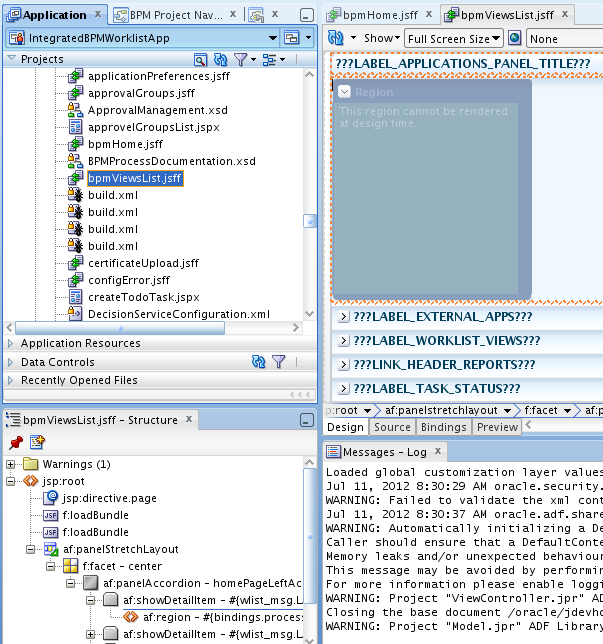 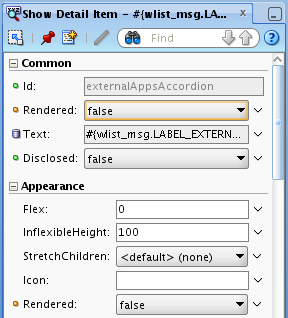 This application is very basic - contains only one page, no ADF regions. Active Data registration error happens, on the next invoked action after show printable page behavior was invoked. 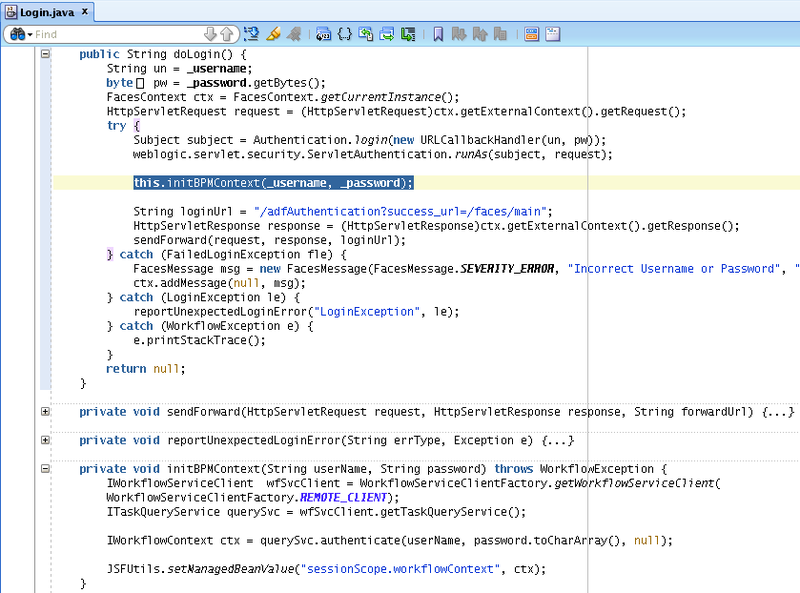 This works, but not always. 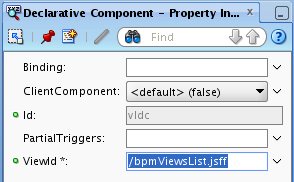 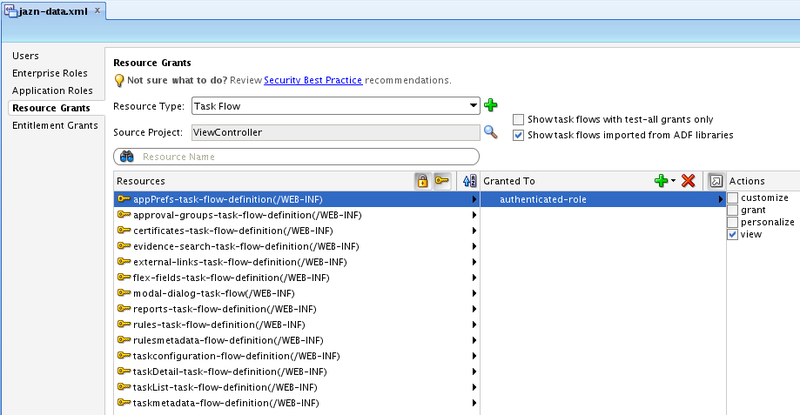 I noticed that for more complex pages with ADF regions, it doesn't help to set ChangeEventPolicy to none. 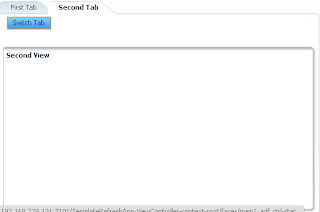 Another option is to implement printable page rendering programmatically (it will render in the same browser tab where application is launched). 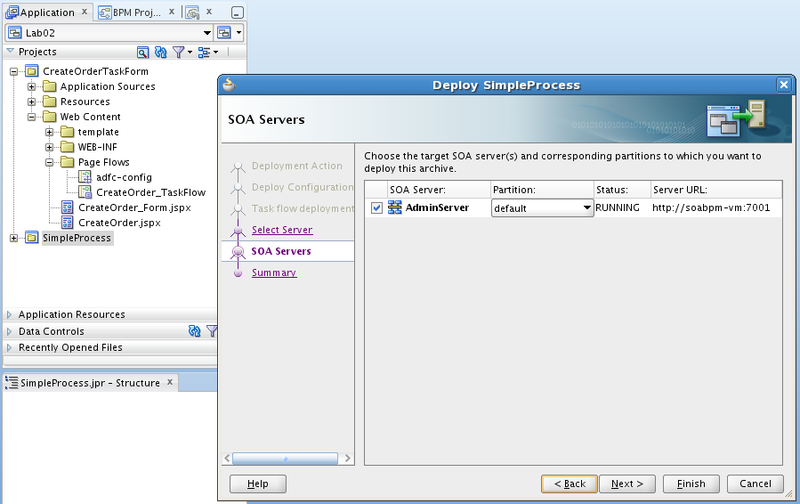 Read more about this solution here - ADF Code Corner 95. 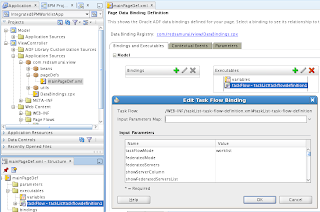 How-to Navigate to Printable Pages.